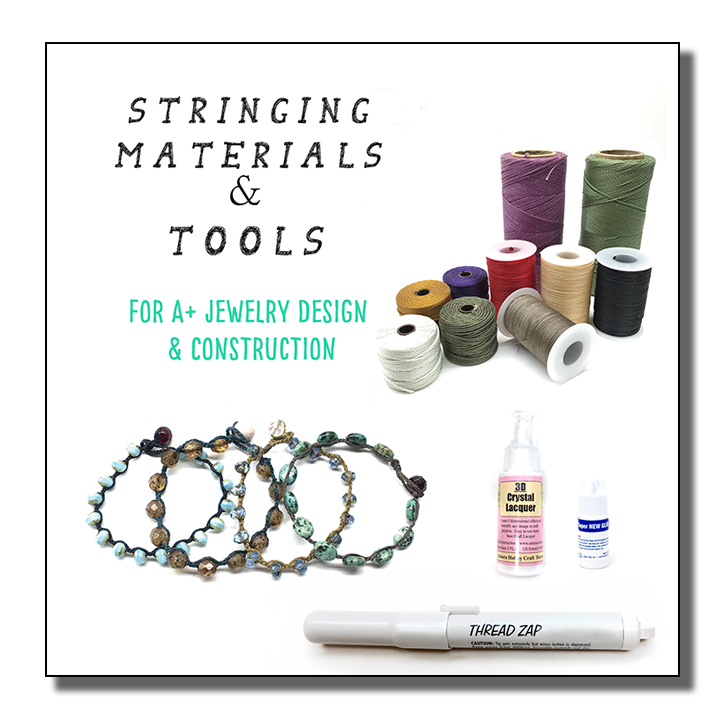 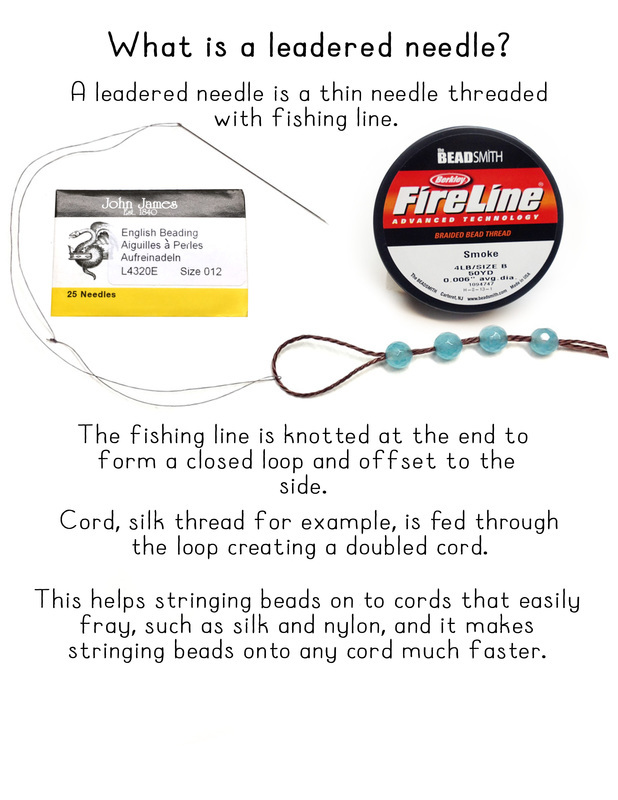 Here is an article that details the characteristics and uses of different stringing materials. ​Click on image to open. 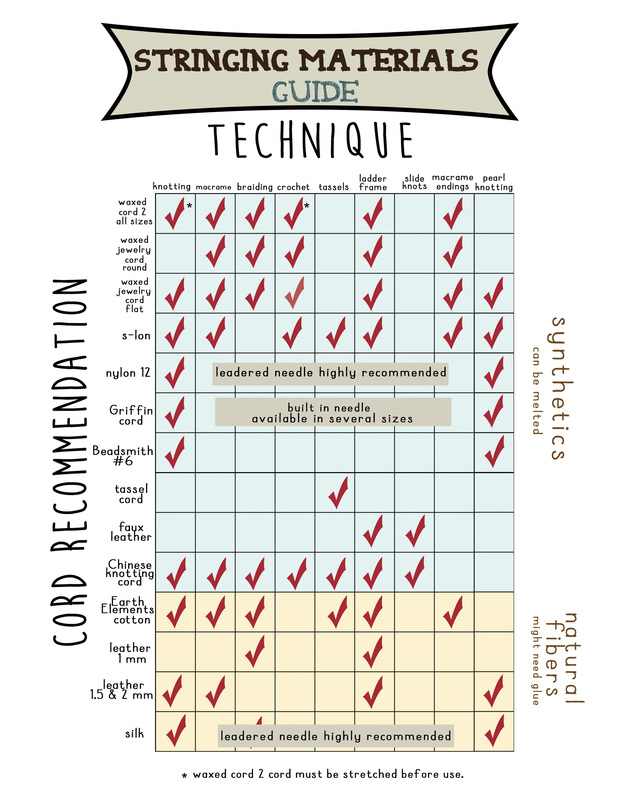 Here is a handy chart that suggests cords for specific techniques. 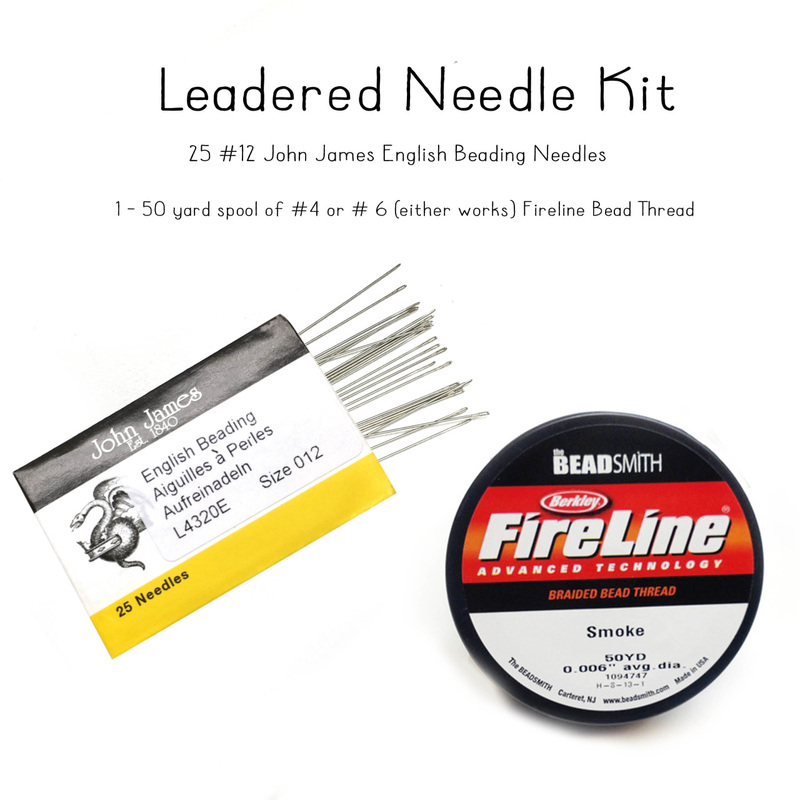 Click HERE for LEADERED NEEDLE VIDEO. 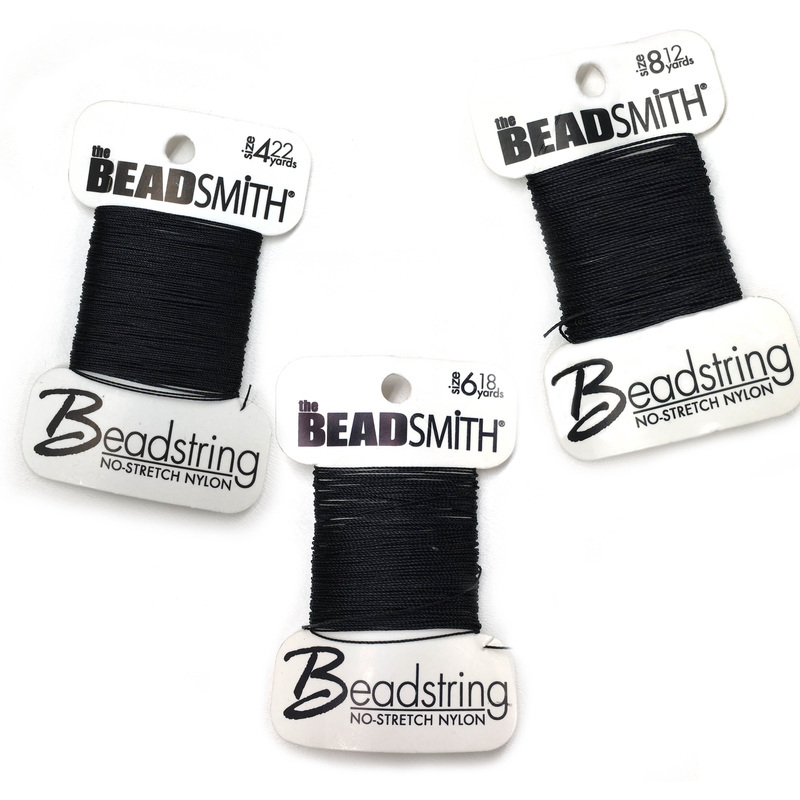 Make your own leadered needles to easily string beads onto cord. 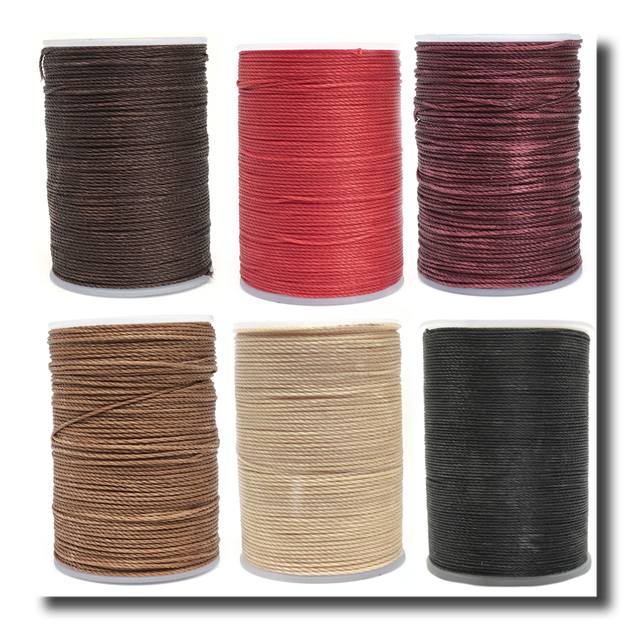 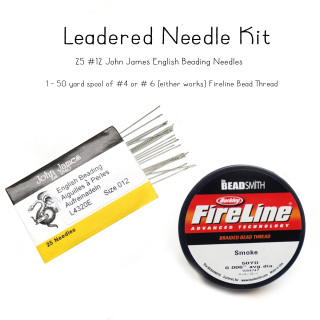 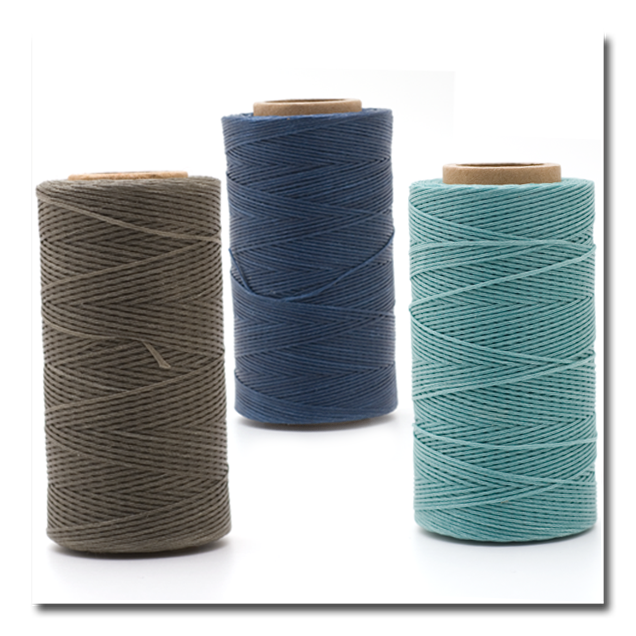 This set includes 1 package of needles (25) and a 50 yard spool of Fireline 6lb thread.